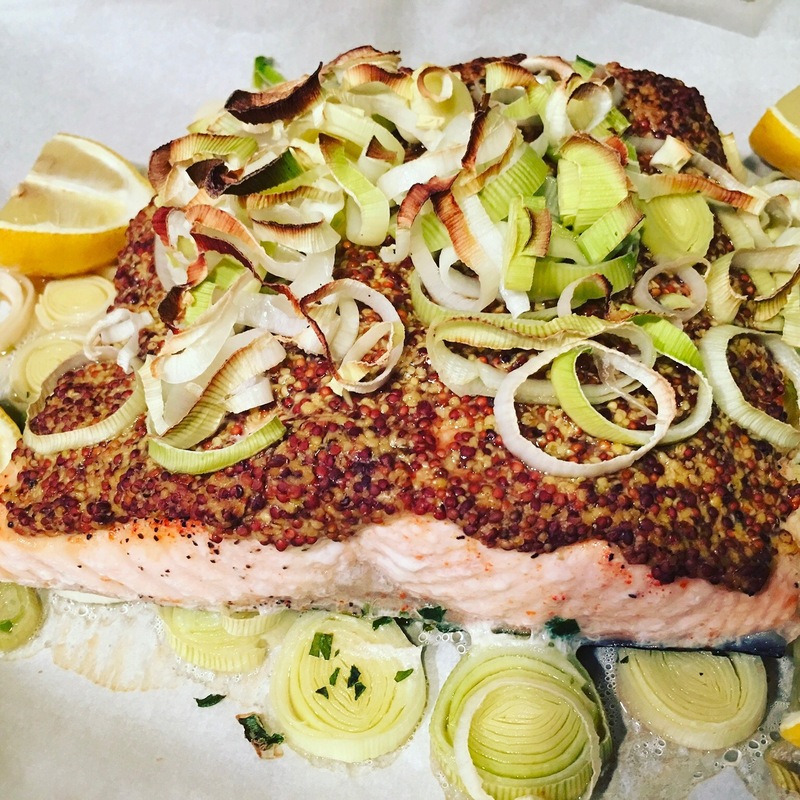 Salmon with roasted vegetables – Hurried Home Chef! 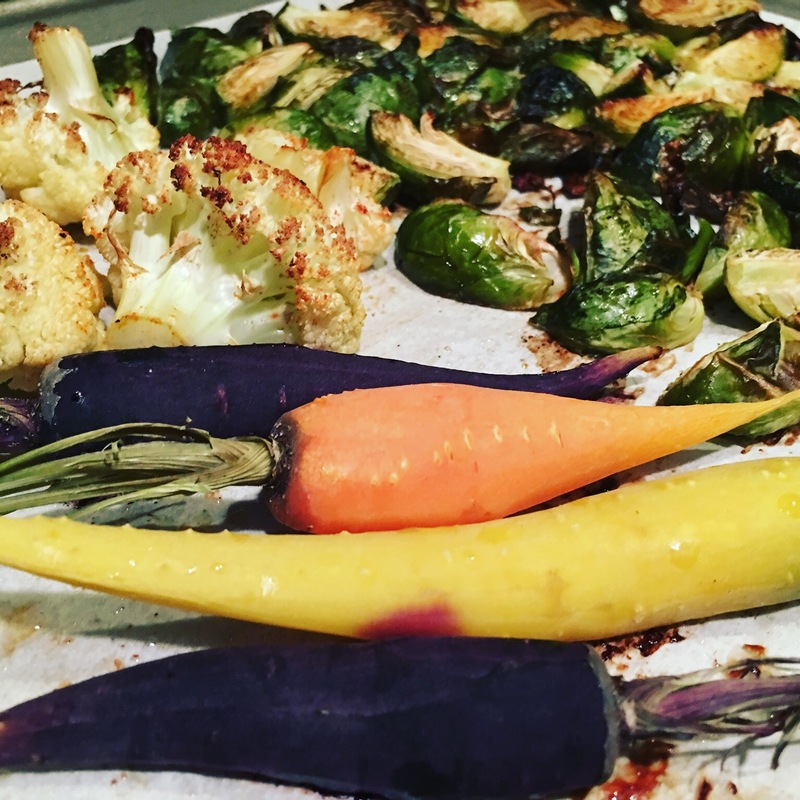 Start with the veggies first! Roast for about 20 minutes while you prepare the rest. 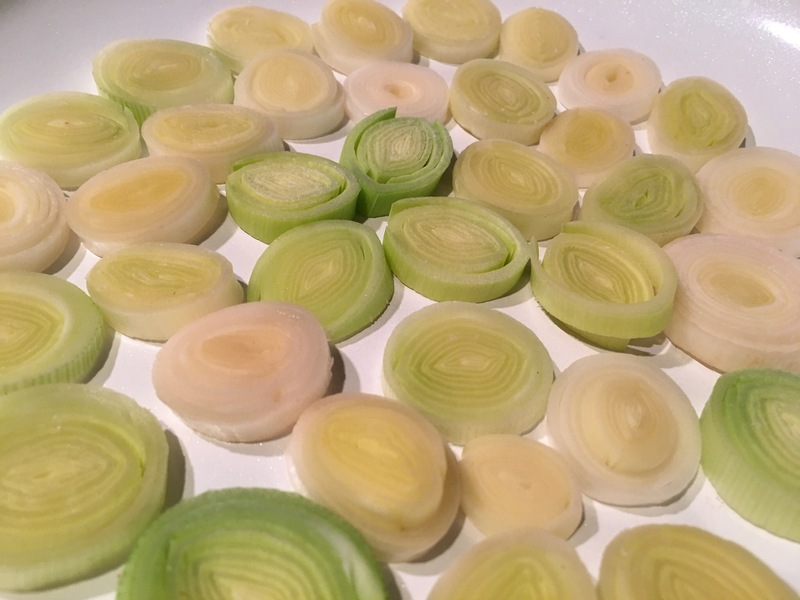 Start with the leeks, on top of parchment paper. Top with the salmon, season, and spread with mustard, add to the oven and cook both for another 20 minutes. 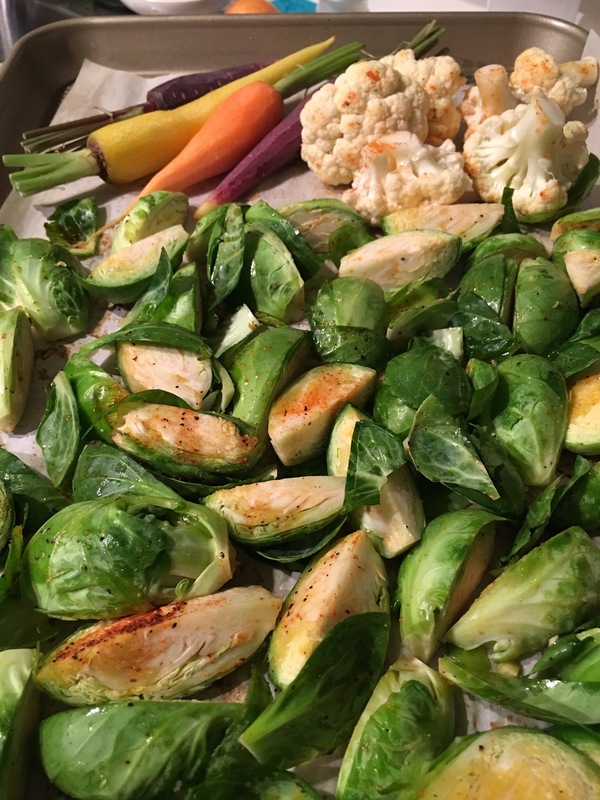 In a large bowl, place the cut sprouts and cauliflower, coat with about 2 tbsp EVOO, 1 tsp salt, 1/2 tsp black and cayenne pepper each. Toss and place on parchment lined baking sheet. Bake at 350 for 20 minutes. Meanwhile, prepare salmon. Chop leeks and soak in water to allow the sand to settle at the bottom of bowl. Drain and pat dry. Place onto parchment lined baking sheet. Wash salmon filet with lemon juice and rinse. Pat dry. 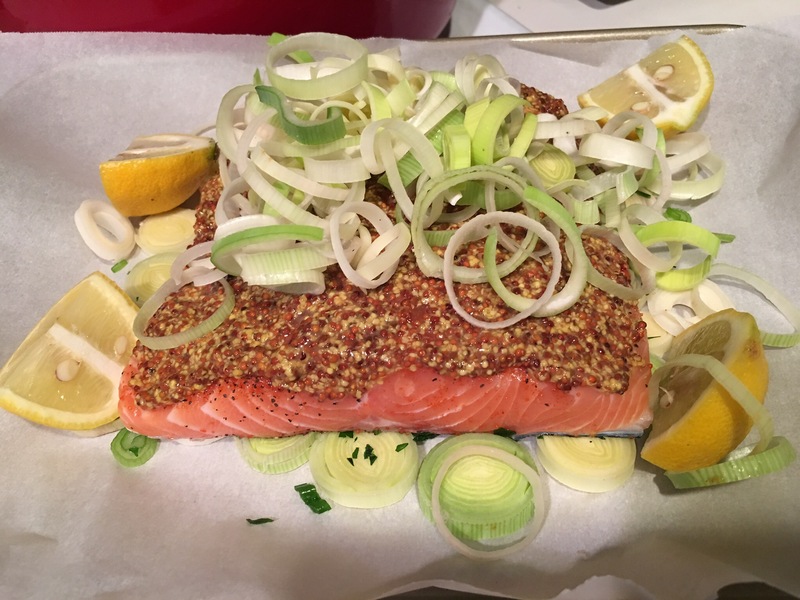 Place on top of half of the leeks, season with 1tsp salt, 1/2 tsp black and cayenne peppers, spread mustard evenly onto salmon, top with the other half of the leeks. After the 20 minutes are up for the veg, leave them in and add the salmon next to them for another 20 minutes. Depending on the thickness of the salmon steak, this should be enough time to cook through.